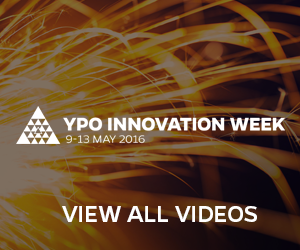 YPO Innovation Week uses Flash video to ensure a high quality viewing experience. If you have a slower connection, we recommend that you hit play to start the player and watch the progress bar in the player; it shows the download progress. The player will download the streaming video into your computer's memory, however this could take some time depending on the speed of your connection, so please be patient. Try playing the video by hitting the play button, if it stops playing, please pause and wait for more video to download. Please note: any other downloads or browsing while watching the cast could affect the video player performance. If you are downloading movies or music, consider pausing those downloads while you watch the video. The video player will load and play automatically. If it takes longer than 10 seconds for the player to appear, you may retry refresh or you may have an Internet connection problem. Please adjust the volume on the Player volume control to your desired level. Please ensure the angle of your monitor is tilted correctly for ideal brightness and contrast. By clicking on a banner next to the web cast player, you will be taken directly to the relevant website. On Internet Explorer, please make sure the "Compatibility Mode" is turned off or you might see a jumbled screen. To check, Go to Tools > Compatibility View Settings > at the bottom checkbox "Display all websites in Compatibility View" should be un-checked > click OK and then reload the page. See screenshot below. From the Tools Menu, select the Safety menu, click Delete Browsing History... . Check Temporary Internet files and History, and then click Delete. At the top of the Firefox window, click on the Firefox button (Tools menu in Windows XP) and then click Options. In the Offline Storage section, click Clear Now. From the Safari menu, select Empty Cache... . When prompted, click Empty to confirm that you want to empty the cache. 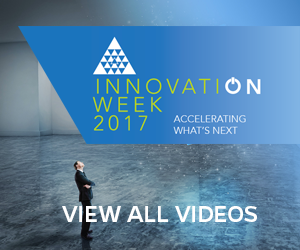 Once you have all this checked, please click here to watch YPO Innovation Week.